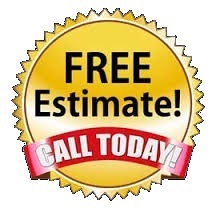 Drywall Contractor Nearest Pittsboro - Large or small drywall installation, repair, finishing or popcorn texture removal jobs in Raleigh, Durham, Chapel Hill, Cary, Pittsboro, Siler City, Chatham County, NC or any of the neighboring areas. With Prices Starting As Low As $165.00 For Small Or Simple Repairs Your Home Will Look Great When Friends Or Relatives Visit. No matter what your drywall needs call a skilled, highly trained contractor with years of experience and a do it right attitude. Providing qulaity local service for over 27 years. Call Jimmy Holmes - 919-742-2030 Straight Forward Answers To Your Wallboard Installation, Repair Or Finishing Needs. Reasonable Prices By A Local Drywall Contractor That Has Provided Service In The Area For Over 27 Years. Call Today For Wallboard: Installation, Repair, Finishing Or Texture Removal Work.